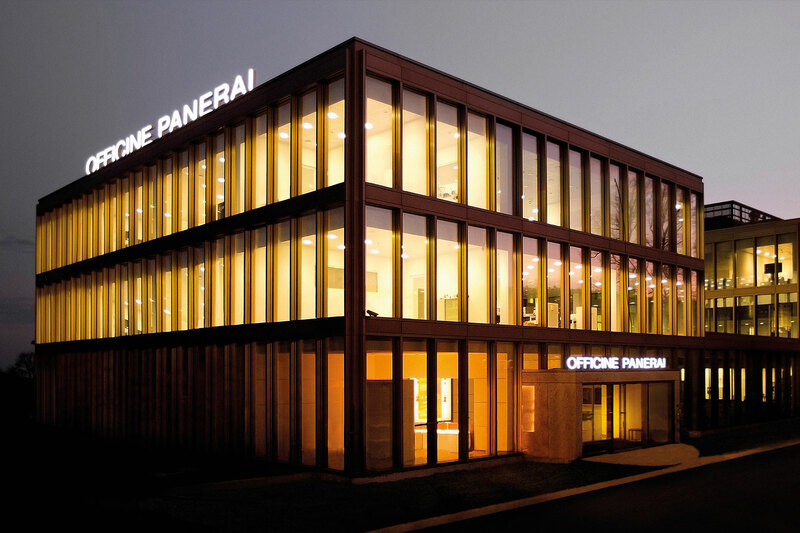 The Panerai production headquarter is no longer located in the former police station near the lake, but has since 2014 been located up a bit further in the hilly Pierre-á-Bout area. 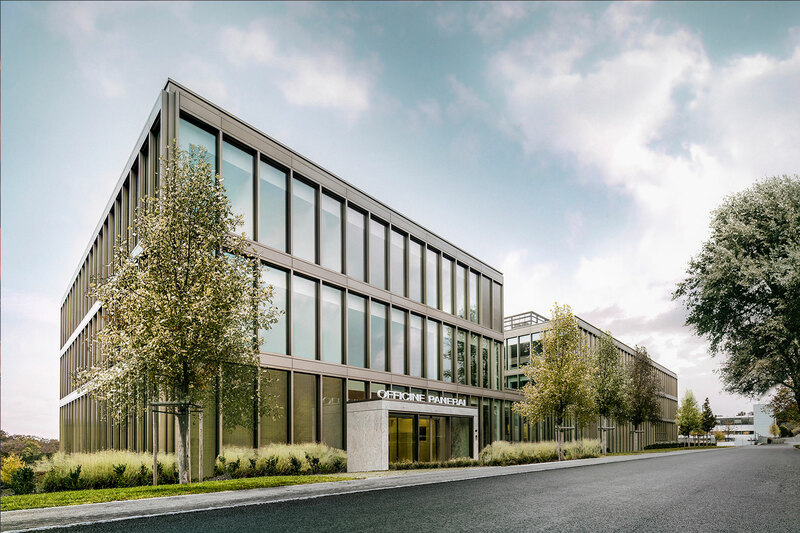 The building is not a former this or that but instead a 10.000 square meters state of the art manufacture build specifically to Panerai offering a fantastic workplace for approximately 250 employees. Our reporter Kristian Haagen flew over for a visit and came back with facts and photos. 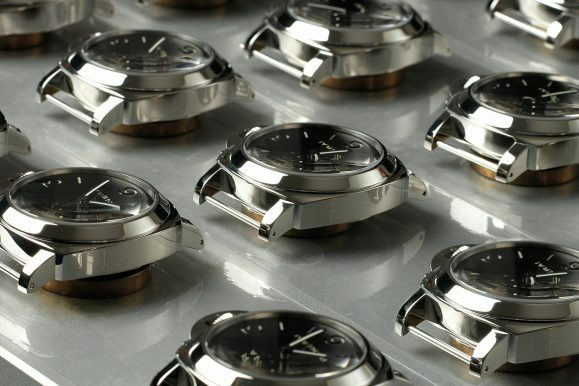 “I didn’t want Panerai to just be a trendy watch. 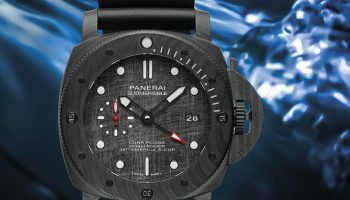 That is why I decided to produce inhouse movements, “ Panerai CEO Angelo Bonati told me during a five-course dinner at the Michelin star restaurant Au Boccalino in the outskirts of Neuchatel. The year was 2008 and Bonati wanted me to be one of the very first journalists to visit the then manufacture headquarter in Neuchatel. A six floor building overlooking Lake Neuchatel, which used to house the local police station, before Panerai took over the premises. It was however not built for an audience, which explained why no other journalists had visited before. I have met with Bonati several times before, but this was the first time that a meeting was not part of a naval event, press conference or watch fair in Geneva, and the atmosphere was consequently very informal making my notebook and pen by the table seem somewhat inappropriate. 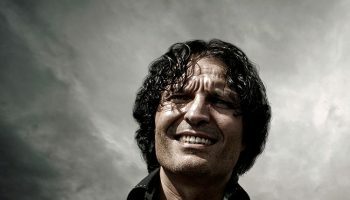 Nonetheless they turned out to be rather useful as Bonati opened his hand and waxed lyrically about his product. Here was no cynical businessman giving spin to shareholders, but a man who believed passionately that selling a watch is no longer about USP (Unique Selling Point) but rather ESP (Emotional Selling Point). 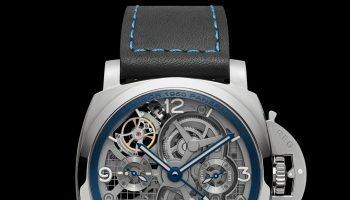 The opening words of this article was the answer to my question regarding Panerai’s ambitious in-house production movements aka ‘Manifattura’ movements containing GMT, AM/PM indicator, zero reset function, 3, 4, 5, 8 and 10 day power reserve, some even with horizontal indicator, chronograph, regatta functions, Equation of Time and even tourbillon. 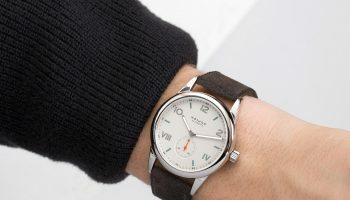 I presumed that Bonati’s decision to start an inhouse movement production was a response to Swatch Group’s announcement in 2003 that they would discontinue all sales of raw ETA and Valjoux movements (ebauches) to watch companies outside the Swatch Group. Bonati, however, surprised me with his answer; “When I was confronted with disrespectful remarks from other watch brands during SIHH in 2001, I decided to prove that Panerai was more than just a watch for models, pop singers and Hollywood actors. 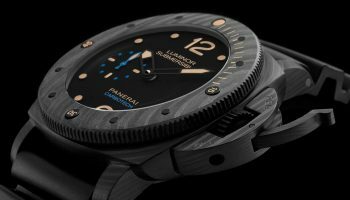 I didn’t want Panerai to end as a simple fashion watch”, Bonati explains. “I contacted (Richemont chairman, red) Johann Rupert”, Bonati continued, “and presented to him my plan to raise Panerai’s profile by making the company a true manufacturer. 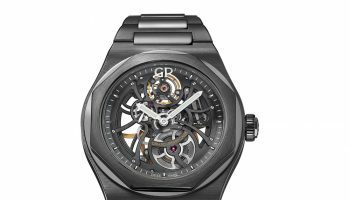 Obviously Rupert liked the idea, and this is why Panerai today offers no less than 11 base inhouse movements and 23 additional sub-references. And all this in less than 10 years, since the first “Manifattura” calibre P.2002 was launched in 2006. 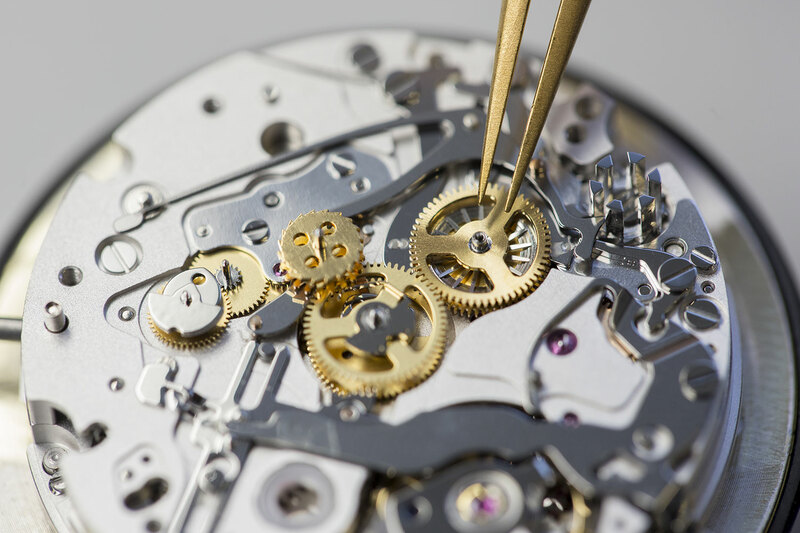 Not too long ago up to 90% of all Swiss mechanical watches used movements from ETA and Valjoux. These numbers are now dramatically affected by an increasing production of in-house movements from i.e. Vacheron Constantin, Girard-Perregaux, Audemars Piguet, IWC and Tudor just to name a few. 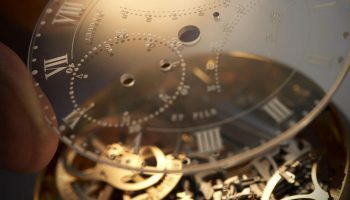 Even Patek Philippe ended their relationship with Swatch Group owned Lemania, when the famed maison introduced their first in-house chronograph movement in 2006. 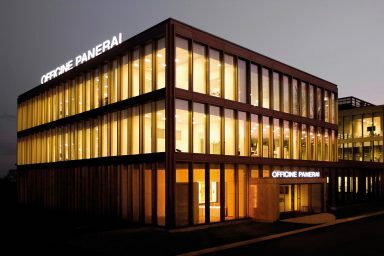 The Panerai production headquarter is no longer located in the former police station near the lake, but has since 2014 been located up a bit further in the hilly Pierre-á-Bout area. The building is not a former this or that but instead a 10.000 square meters state of the art manufacture build specifically to Panerai offering a fantastic workplace for approximately 250 employees (up from the 110 people who worked in the old building), who are surprisingly young. So are the machines, which according to Panerai were brand new, and not left-overs from the former building. Very modern in design (and inviting to even press and visiting collectors), the building was constructed to follow eco-compatibility and the rational use of resources. 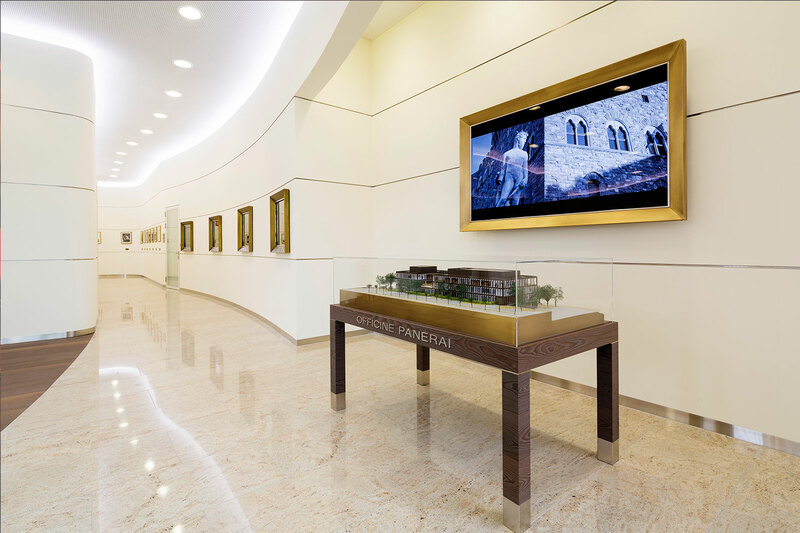 It houses all the functions and trades involved in making watches – over 70 altogether – in large, open areas, flooded with natural light by the wide windows which run round the whole building. And the eco-friendly environment also has monetary benefits for the employers who ditch their cars. The whole eco-sustainable concept is very visible at the new manufacture. Unmatched even as the building complies with the highest international standards. Designed not only to reduce carbon dioxide emissions to zero, the building is also equipped with the most modern devices for energy saving and the recovery and reuse of waste materials. Rainwater for example is saved in a tank of 50,000 litres and then reused for services and watering the grass and hundreds of trees that are planted outside the building. The waste liquid from machine cooling systems is used to produce the energy needed to heat the building. Wastewater arrives at the waste disposal system only after it has been completely cleansed of detergents, soaps and fine dust. Great attention has also been paid to the sustainability of the lighting system, which uses energy-saving light bulbs and LED technology, which, through special sensors, switch off after 30 minutes of inactivity within the area they illuminate. Finally, water provides certified 100% green hydroelectric power, which is used by the Manufacture for all its activities. Obviously the new manufacture head quarter offers a lot more than a chair and a table that was offered to Bonati in 1997, when he started as CEO of Panerai. Bonati told me last summer during a sailing on the 1936 Bermudan William Fife ketch “Eilean”, which he spend three years restoring, “I have something special up my sleeve.” And that special something was presented to a small group of selected journalists after the SIHH watch show in 2016. This group was also the first to ever visit the new production head quarters. At the end of the tour of the Panerai manufacture we were presented with a very special novelty that was only rumoured, but not shown during the SIHH watch show: The ambitious and impressive Radiomir 1940 Minute Repeater Tourbillon GMT. But not a minute repeater, as we know it. And why should it be, when a team of four specialised watchmakers reportedly spend more than five years to develop this very special edition. Normally the first gong of a repeater is the lowest and identifies the hour, while the last and highest indicates individual minutes. The unusual feature of the Radiomir 1940 Minute Repeater Tourbillon GMT is that the second gong sounds triple chimes of an intermediate note, each triple chime corresponding to ten minutes instead of the traditional fifteen. Did I loose you? Well, allow me to come with an example: In an ordinary repeater movement, the time of i.e. 10.28 is usually indicated by ten chimes for the hour, a different chime for the quarter of an hour and thirteen individual chimes for the minutes. In the Radiomir 1940 Minute Repeater Tourbillon GMT, however, the sequence consists of ten chimes for the hour, then two triple chimes (the two ten-minute intervals) and eight single chimes. The system of tens, reducing the number of chimes, makes telling the time easier and quicker, and it also corresponds to customary way in which time is now indicated by digital watches. Got it? 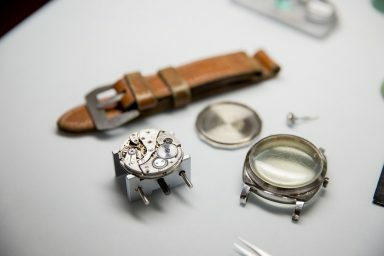 The decimal minute repeater is not unique though and can also be found in the A. Lange & Söhne Zeitwerk Minute Repeater, Kari Voutilainen Decimal Minute Repeater GMT and Seiko Credor Minute Repeater. Meaning this is a complication only mastered by the very few and most talented watchmakers out there. repeater complication movement, which also offers tourbillon, GMT and a power reserve indicator, the latter placed on the back of the movement. 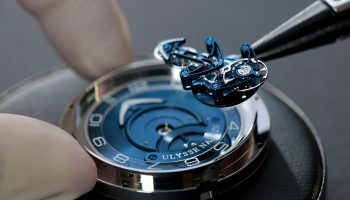 The movement, that consists of no less than 633 separate components, offers no less than four spring barrels of which two keep the power reserve of the time and the last two for the minute repeater complication. As four spring barrels take quite some space the diameter of the Radiomir 1940 Minute Repeater Carillon is 49 millimetres. The rose gold Radiomir 1940 Minute Repeater Tourbillon GMT is not limited but only very few will be made every year. 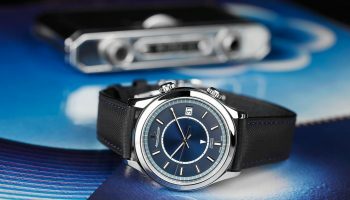 Not only because of the complexity of the movement, but also due to the retail price of 350.000 euros. But at that price you can choose a different material of the watch if rose gold is not your thing. Beats just changing a strap, eh? Obviously Bonati has come a long way since he sat at an empty office desk back in 1997. Being at the helm of Panerai for almost 20 years, he can leave his ship with pride once his retirement calls. 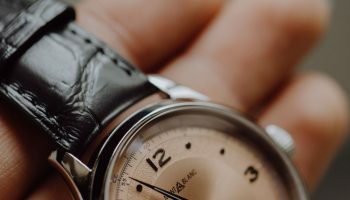 Today, almost no brand sells only timekeepers. 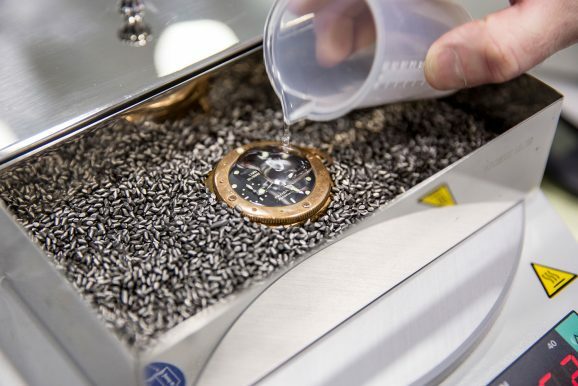 They also sell dreams and Panerai is no different; communicating the brand history, the design and the production technique is at least as important as the production itself. But a successful firm must strike the right balance between the dream and the very real quality of its product. 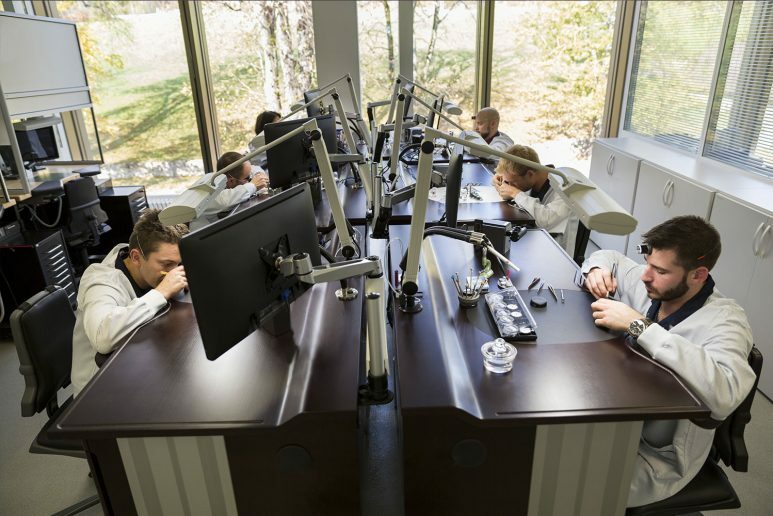 And by being master in his own house, Bonati has proven that he can forget all about horological harassment and instead be proud of the position he created for Panerai, proudly calling it a true manufacture. Now at the peak of Neuchatel even.